In a clock, the parts are brought together and that is how the watch works. In a plant, the stem, the leaf, and the flower, you can only imagine them, they don’t have any existence except in their belonging as a plant, the whole plant. This same way of seeing and comprehending systems can also be found in some of the greatest philosophical works on hermeneutics and phenomenology, such as those of Ludwig Wittgenstein and Hans-Georg Gadamer of whom I have been writing a lot about recently. In order to understand the system of language for example, we have to understand how the meaning of a text ‘comes to presence’ in the parts, i.e. the individual words. The meaning can not be arrive at just by summing up the parts. The problem though is that as many commentators acknowledge, Wittgenstein and Gadamer, along with Heidegger and Merleau-Ponty, are some of the most difficult writers to understand. Until this year there were not that many practical (as opposed to philosophical) books which lead the reader into this deeper way of seeing. The reason I emphasise practical is that in Goethe, one of the greatest minds in modern European history, a teacher who through the study of plant morphology and phenomena in nature such as colour, we discover through our study and experience of concrete phenomena in nature, a way to reach this profound way of seeing. Hence the choice of title for Craig Holdrege’s new book Thinking Like a Plant. 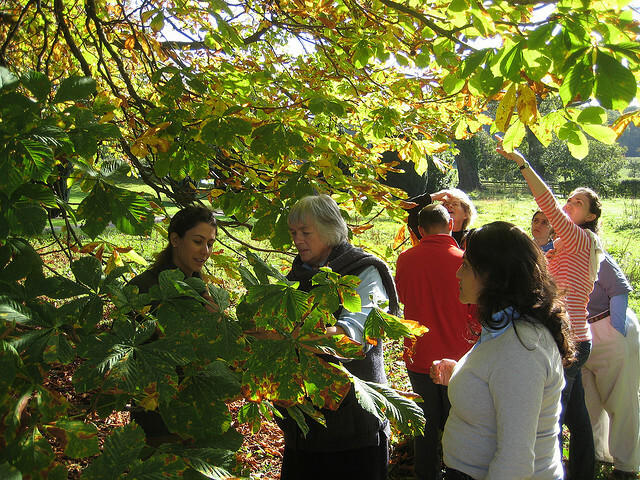 Holdrege teaches this way of seeing, inspired by Goethe, in the US, at The Nature Institute, where is a director, and at Schumacher College, where Goethean Science is also taught by Margaret Colquhoun (who taught me when I was there in 2009). As someone who has been taught Goethean Science through observational practices, I would say that it is almost impossible to understand Goethe’s achievements without this practical and experiential aspect. Thinking Like a Plant is a much-needed addition to the existing body of literature on the scientific works of nature, which as I have said, can potentially be either philosophical, and therefore difficult to access for the lay-person, or prohibitively expensive, such as the comprehensive compendium Goethe and the Sciences: A Reappraisal. The other problem to the English reader is that many works on Goethe have only been published in German, and Holdrege provides a very useful introduction to the work of Jochen Bockemühl, many of whose plant studies are reproduced. Leading us into an experience of concrete phenomena and their variations. If we wish to be truly creative in our thinking, the study of plants can guide us into a more fluid way of thinking, one where “we are able to form and reform ideas in a process of investigation; letting notions fall away as inquiry proceeds; working in a rhythmical interplay between exploring and reflecting; having moments of insight in which one sees new connections and relations”. Goethe said that “if we want to behold nature in a living way, we must follow her example and make ourselves as mobile and flexible as nature herself.” Holdrege has written a wonderful guide which is based on his many years of study of Goethe, and shares with us many of his insights and practices to allow us too to change our thinking. As I have said, this new way of thinking is unlikely to come just from an initial read of this book, but for those who are intent on really developing what Goethe called “a new organ of perception” Thinking Like a Plant is an indispensable guide to help us unlock the wisdom and teachings of nature – ever changing, never static, always unfolding. 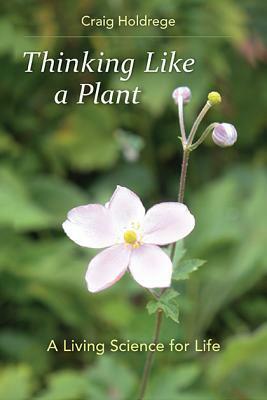 Thinking Like a Plant: A Living Science for Life by Craig Holdrege is published by Lindisfarne Books, Great Barrington MA. It is also soon to be published in the UK by Floris Books, Edinburgh.